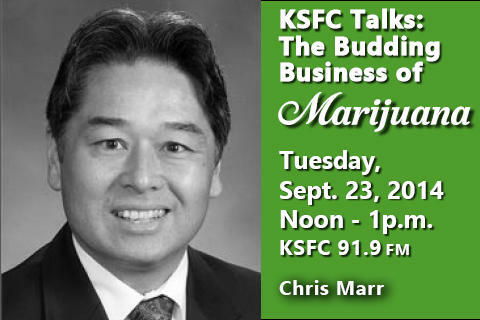 The price of marijuana is still higher in legal retail stores than on the existing black market, but by this time next year, growers and the state regulatory officials expect the price to drop and supply to grow, said panelists on KSFC Talks: The Budding Business of Marijuana, held live on 91.9 FM on September 23. 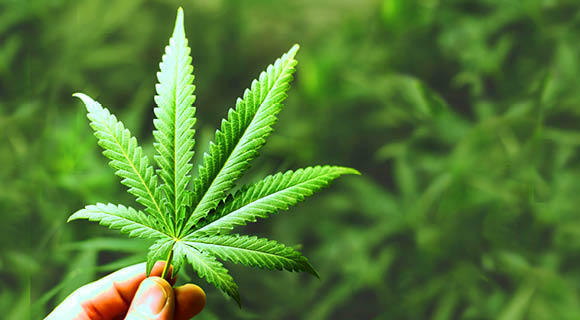 Holcomb suggested users smoking or vaporizing should generally wait at least two hours before getting behind the wheel, and people using marijuana edibles should wait four to six hours. Users who also drink alcohol should not drive for several hours. 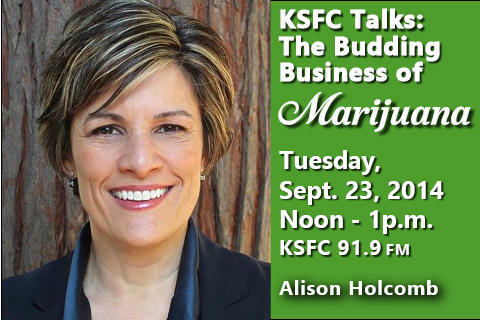 Alison Holcomb, Drug Policy Director of ACLU of Washington State, primary author of I-502. 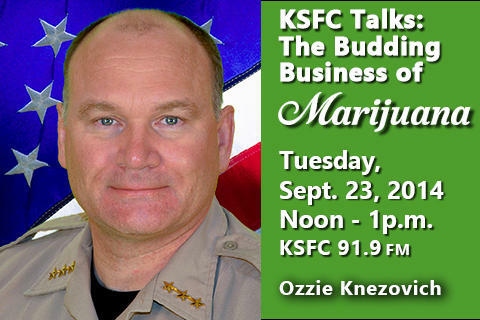 Ozzie Knezovich, Spokane County Sheriff. Chris Marr, Liquor Control board member and former state senator for Spokane. 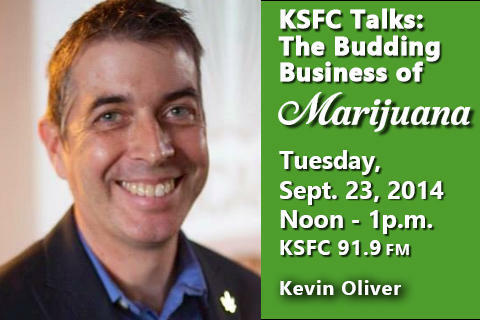 Kevin Oliver, Board of Directors of NORML, current marijuana producers license holder. The audio from the forum will be posted here after the rebroadcasts. Thanks to our Media Partner, the Pacific Northwest Inlander. Alison Holcomb is the Criminal Justice Director for the ACLU of Washington, where she pursues reform strategies aimed at replacing reliance on criminal sanctions with approaches that treat drug abuse as a public health concern and at the same time respect civil liberties, reduce incarceration, and promote racial justice. She was the architect of marijuana legalization Initiative 502 and campaign director for New Approach Washington, the committee that secured I-502’s passage by a 56-44% margin. Prior to the I-502 campaign, Holcomb’s work included successfully advocating for legislative and regulatory improvements to Washington’s medical marijuana law, adoption of the second 911 Good Samaritan overdose prevention law in the nation, and creation of Seattle and King County’s groundbreaking Law Enforcement Assisted Diversion (LEAD) program that has reframed police thinking about drug use and public safety. She received her B.A. from Stanford University and her J.D. from the University of Washington School of Law. Ozzie Knezovich was appointed as Sheriff of Spokane County on April 11, 2006. He was elected to the Office of Sheriff in the fall of that year and is currently serving his second term. 2014 marks his 24th year in the law enforcement profession. As Sheriff, he oversees the law enforcement activities in the unincorporated areas of Spokane County and several contract cities and towns. He is also responsible for managing the County's Department of Emergency Management. Prior to being appointed to the office of Sheriff, he held several positions with the Sheriff's office, including property crimes detective, SWAT team operator and supervisor, and training supervisor. He also served as a patrol officer for the City of Olympia, Washington and the City of Rock Springs, Wyoming. He started his law enforcement career with the Town of Superior, Wyoming, by serving as the Chief of Police. Chris Marr, of Spokane, was appointed to the Washington State Liquor Control Board in February 2011. Prior to his appointment to the Board, Marr served as a State Senator for the 6th District in Spokane from 2006 to 2010. His roles in the Senate included Vice-Chair of the Senate Transportation Committee, and Majority Whip. He also served on the Human Services & Corrections, Environment, Water and Energy Committee and the Health and Long Term Care Committees. Marr has also served on the Board of Regents of Washington State University (WSU) and the Board of Governors of the WSU Foundation. He formerly chaired the Board of Empire Health Services and Inland Northwest Health Services, as well as the Spokane Regional Chamber of Commerce, and the Washington State Transportation Commission. Marr has a 20 year history of civic involvement in public policy and state and local politics. Prior to his election in the Senate, Marr spent twenty years as managing partner of the Foothills Auto Group in Spokane, after working in management at Ford Motor Company and McDonald’s Corporation. Kevin Oliver is Executive Director of the Washington state affiliate of NORML. Oliver has maintained a network of county chapters throughout the state with the help of dedicated adult volunteers and enjoyed front row seats as the state of Washington made history, along with the state of Colorado, as the first in the nation to realize NORML's mission "to move public opinion sufficiently to legalize the responsible use of marijuana by adults, and to serve as an advocate for consumers to assure they have access to high quality marijuana that is safe, convenient and affordable." Most recently, Oliver has represented NORML to the World Affairs Council in Seattle acting as a messenger for legalization to international guests of the U.S Department of State as well as interacted directly with the Washington State Liquor Control Board as they continue the rule making and implementation of I-502. Oliver holds a BA in Humanities from Whitworth University.